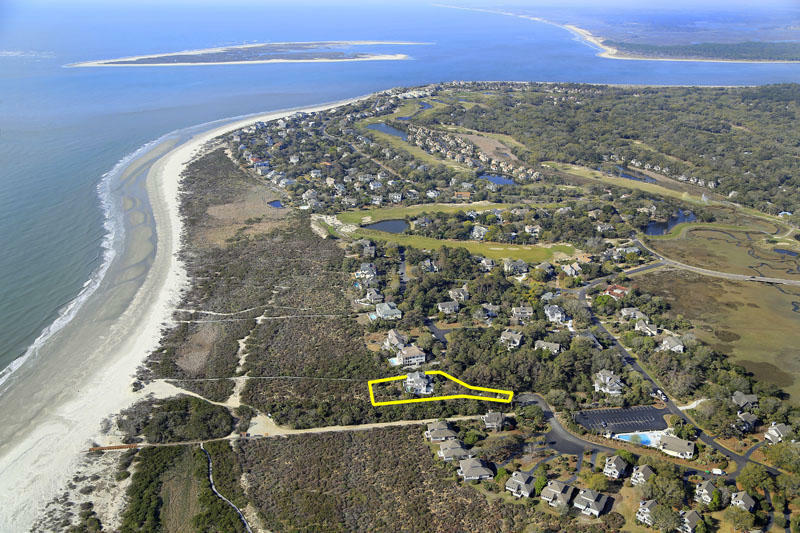 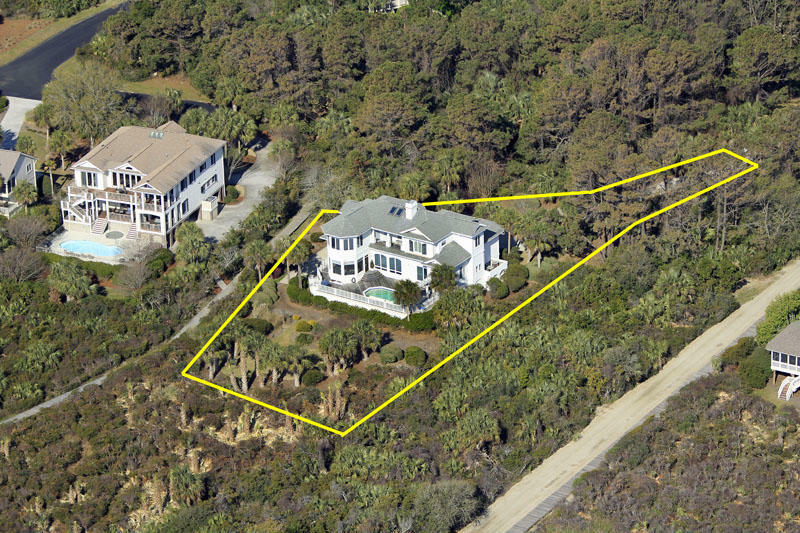 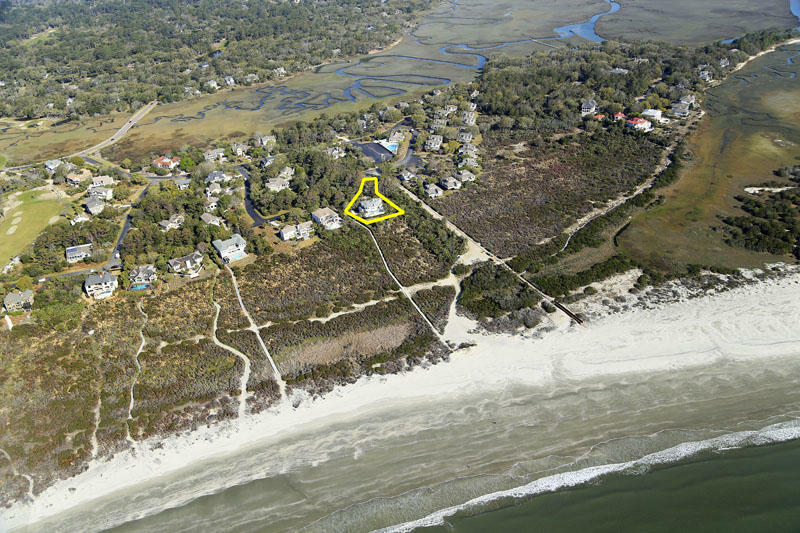 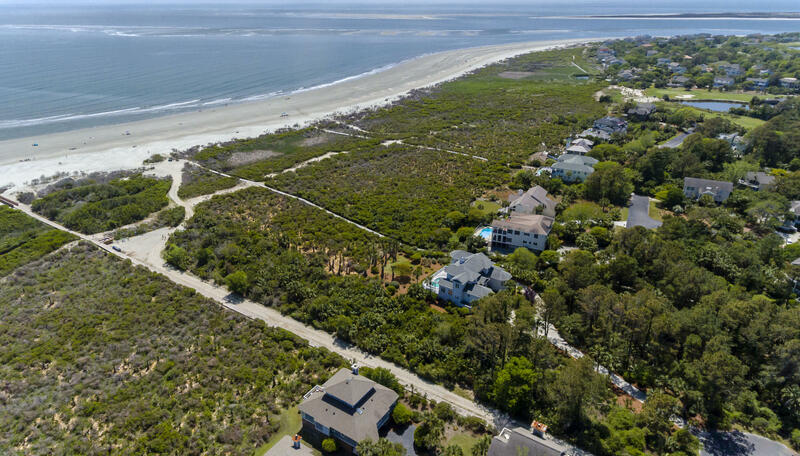 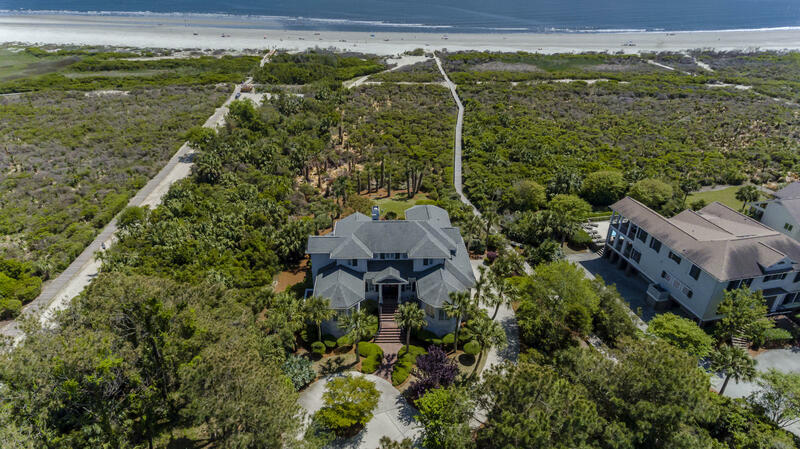 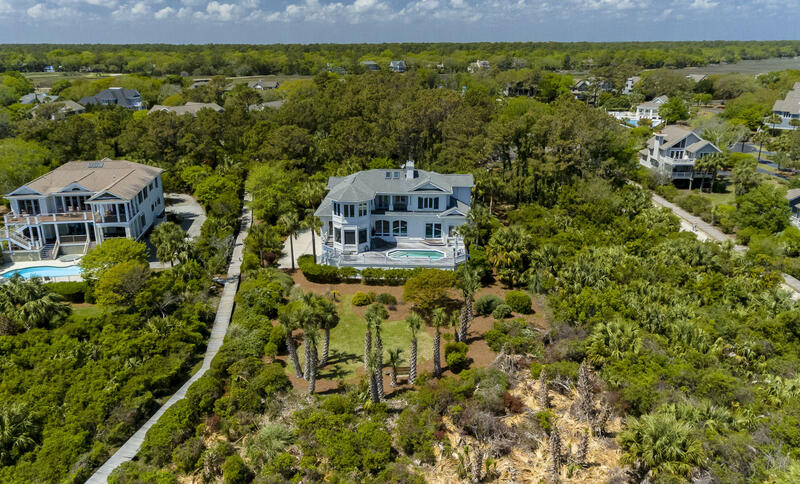 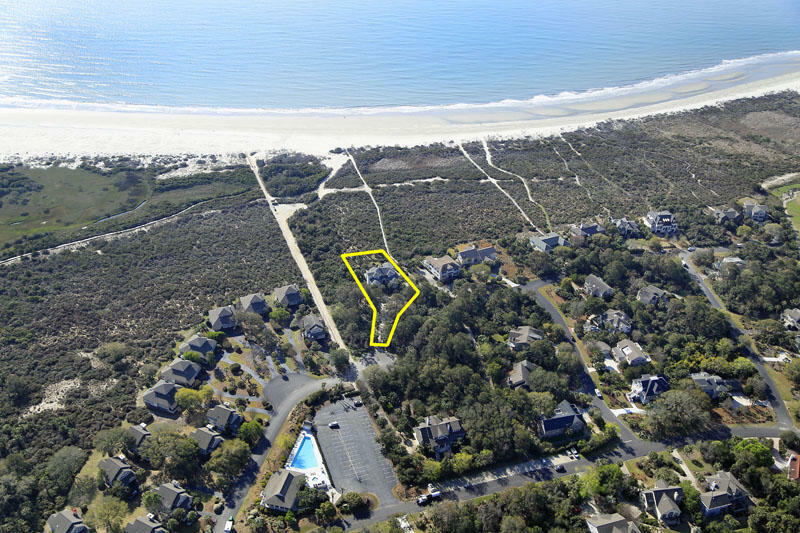 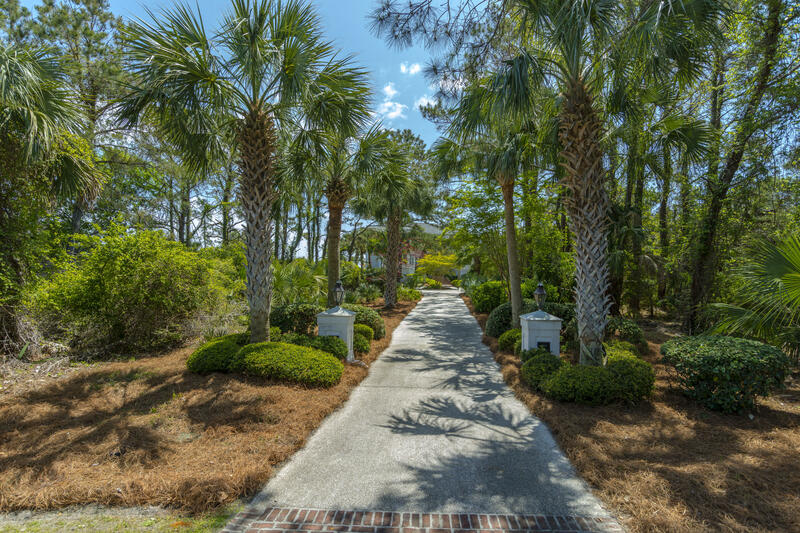 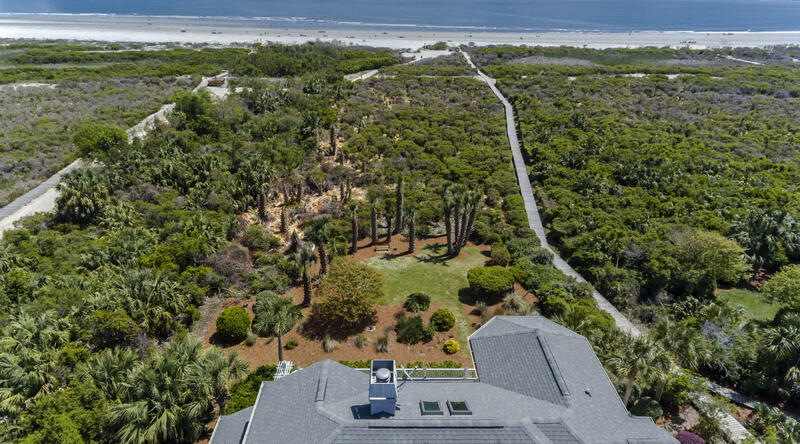 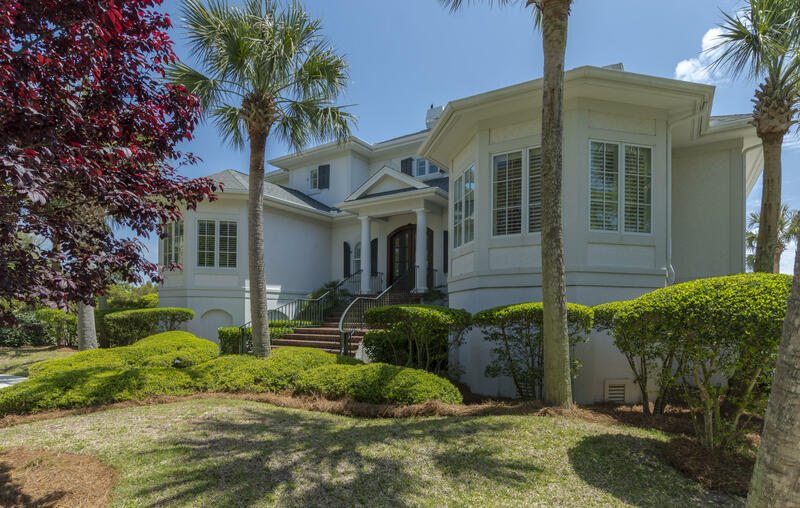 Tucked away down a private driveway surrounded by mature landscaping is this lovely Seabrook Island oceanfront home. 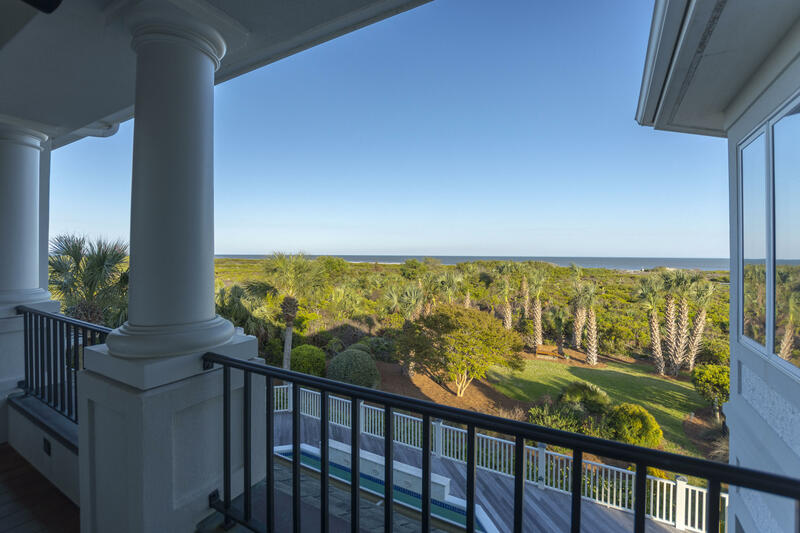 Walk up the gorgeous brick steps, through the double front door and immediately be enchanted by the stunning ocean views. 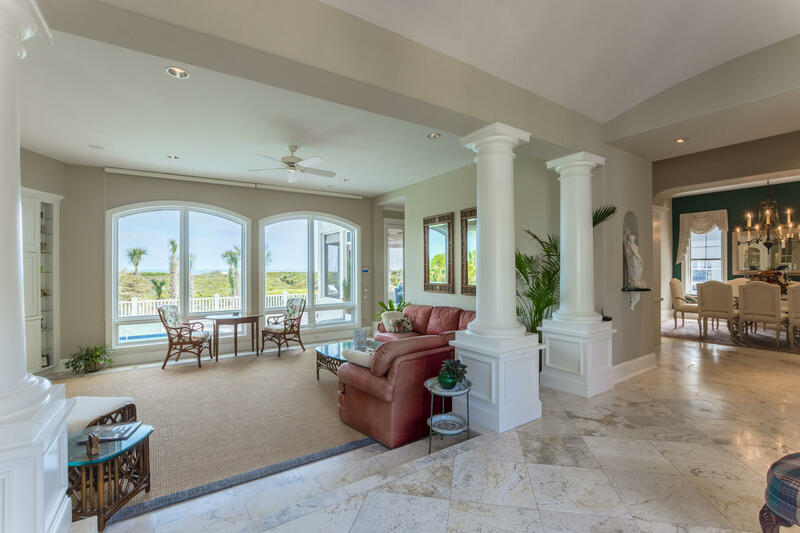 These views and the abundance of natural light are accented by tiled flooring, large white columns, and view of generous sized pool. 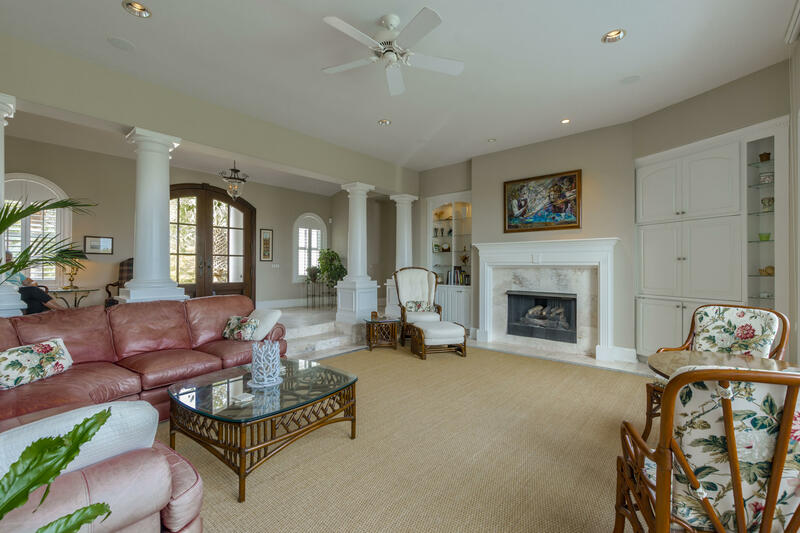 Step inside the spacious family room and you will immediately notice the built-in book shelves and fireplace surrounded by a beautiful white mantel. 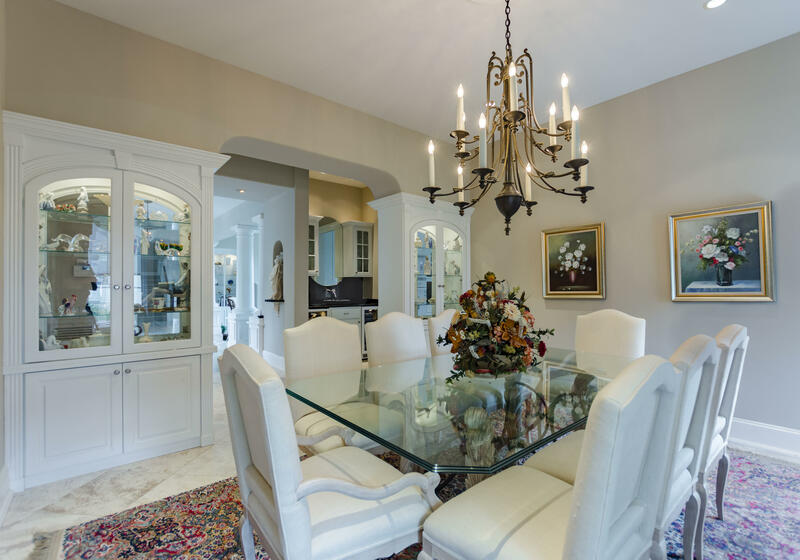 The space is big enough for entertaining a large group but also has an intimate feel, making it perfect for relaxing with a small group. 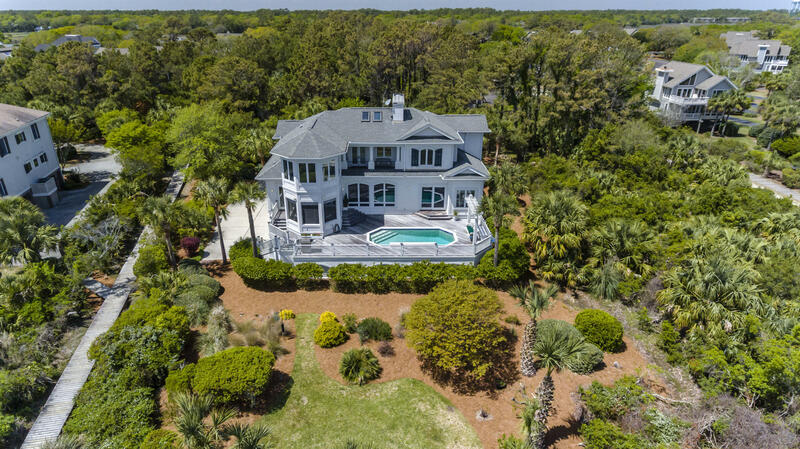 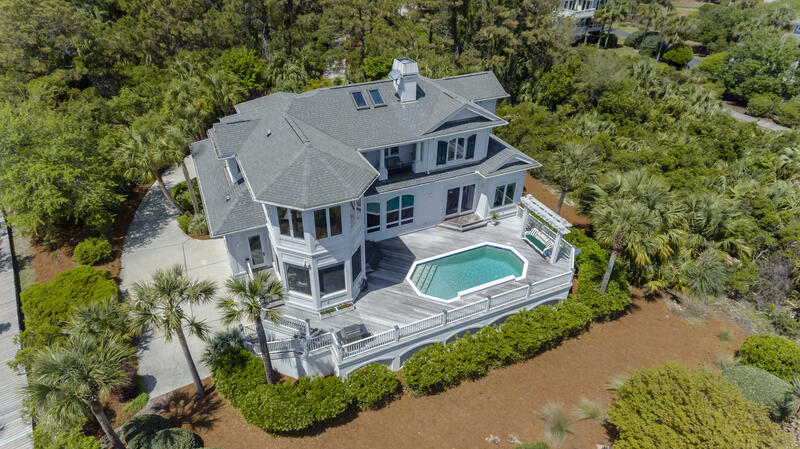 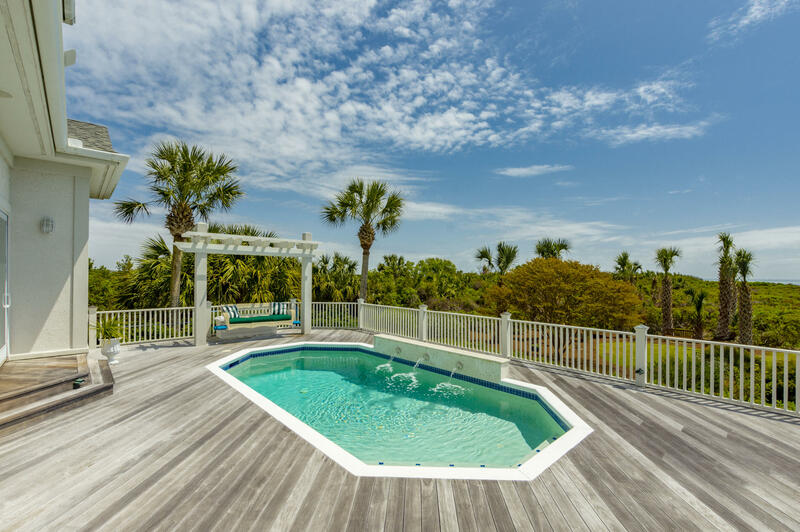 Outdoor highlights of the home include a screened porch with multiple ceiling fans, private pool with fountain feature, wooden bench swing on the pool deck and easy access to the boardwalk leading to the shore. 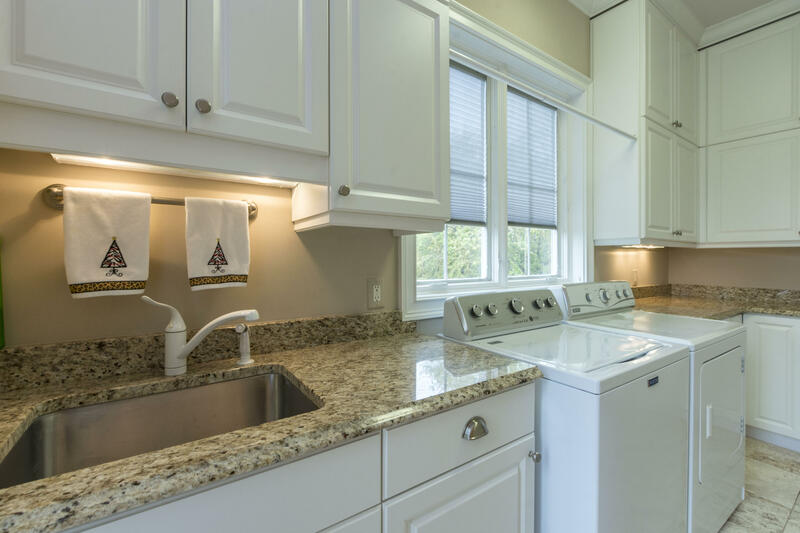 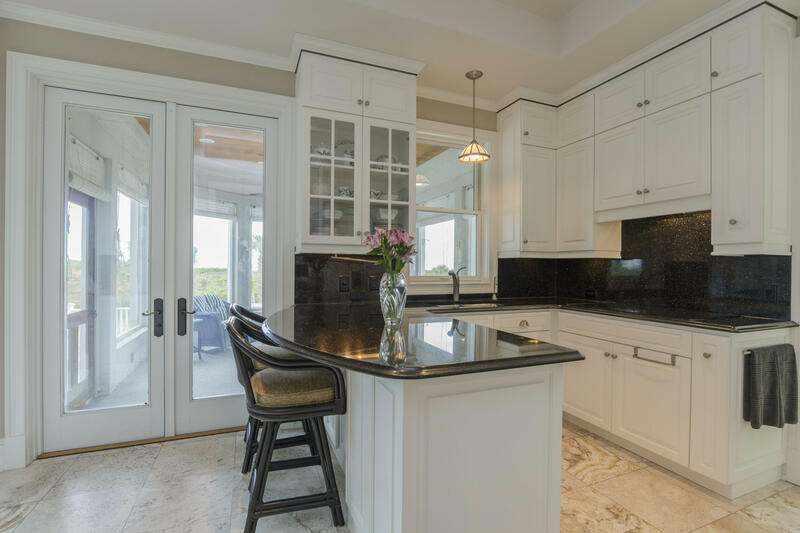 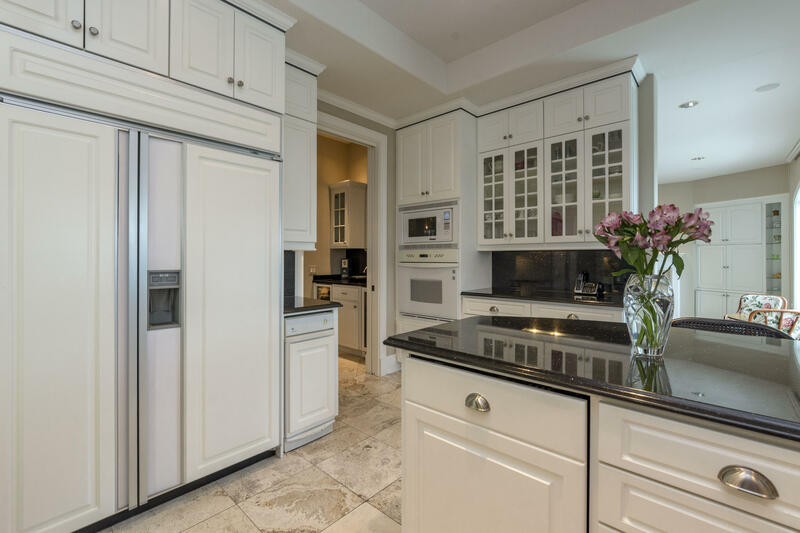 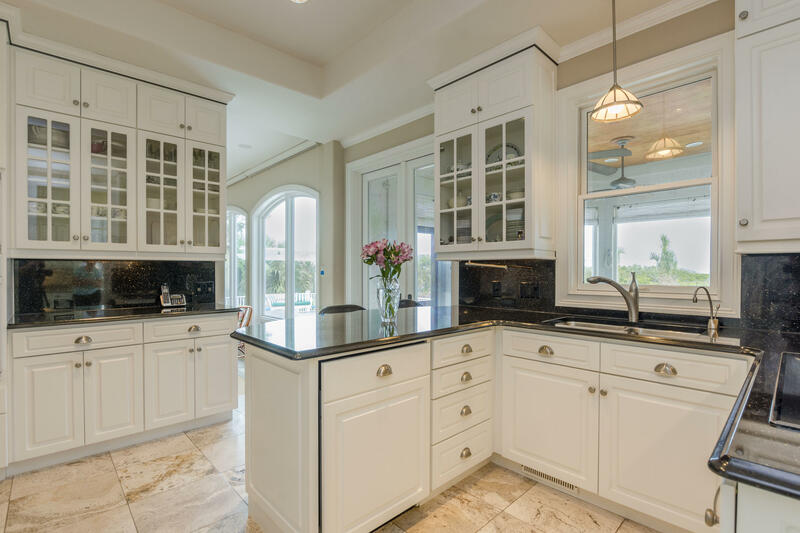 The chef's kitchen, with eye-catching white cabinets and dark granite countertops, leads to the walk-in laundry room that features a sink and plenty of cabinet space. 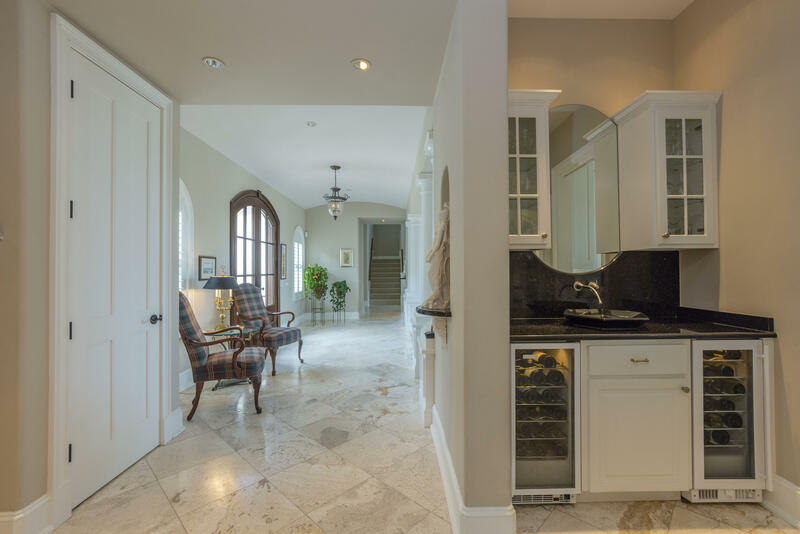 A built-in wet bar with wine coolers and glass enclosed shelving in the hall leads to a formal dining room, bedroom and hall bathroom. 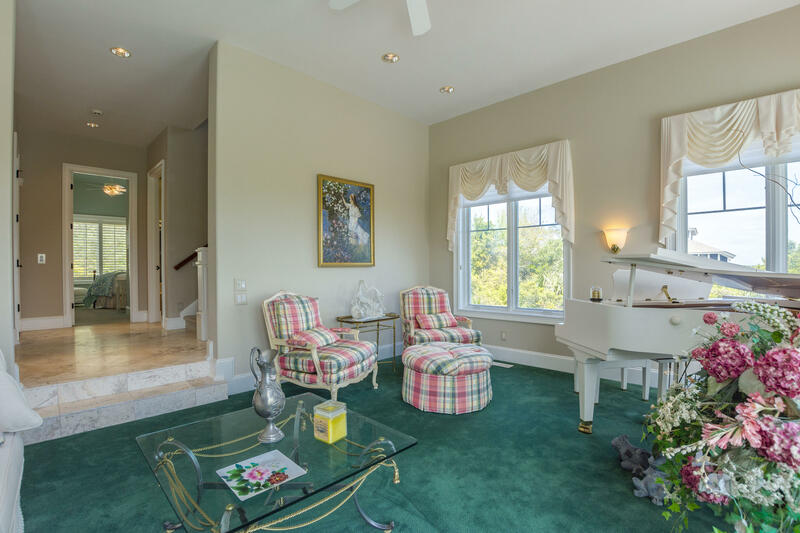 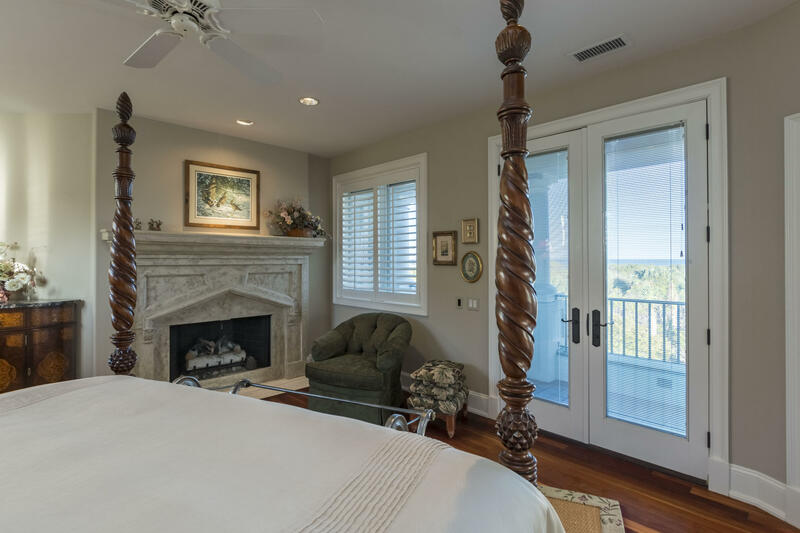 On the other side of the family room, there is a formal living area with great views and a bedroom with private access to a hall bathroom. 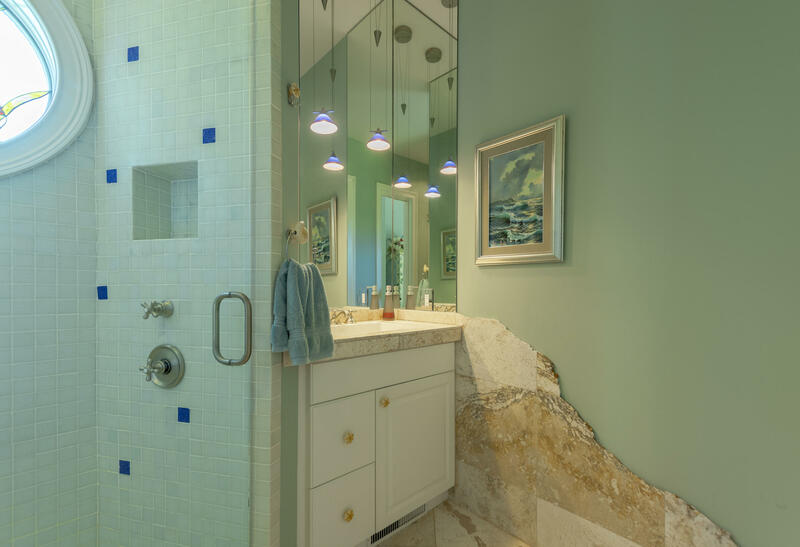 This bathroom is one-of-a-kind and showcases stained glass art, mosaic tile, and granite leading up the wall that was inspired by the ocean right outside. 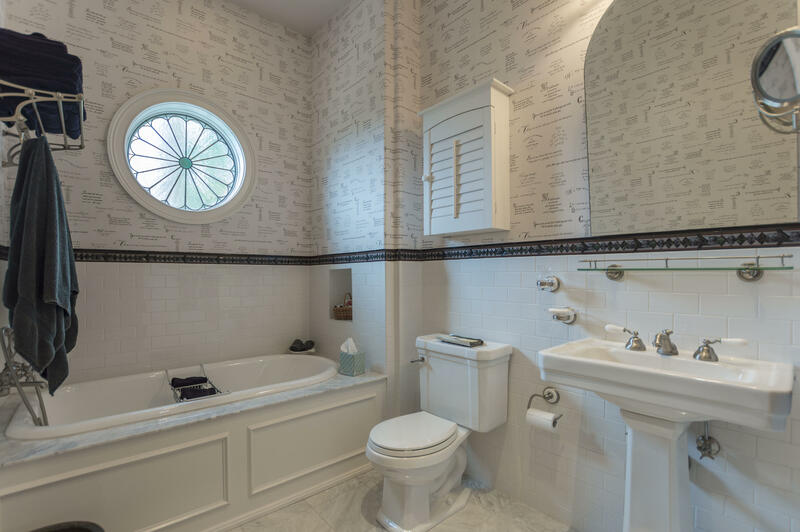 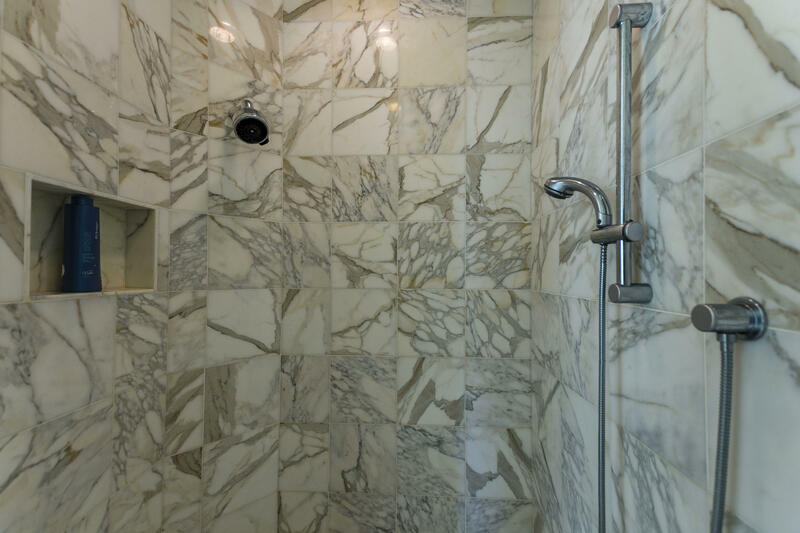 Take the elevator or grand staircase to reach the second level which features a private master suite equipped with a fireplace and bathroom with soaking tub, large tile walk-in shower, and walk-in closet as well as two rooms that may function as an office, den, or work space. 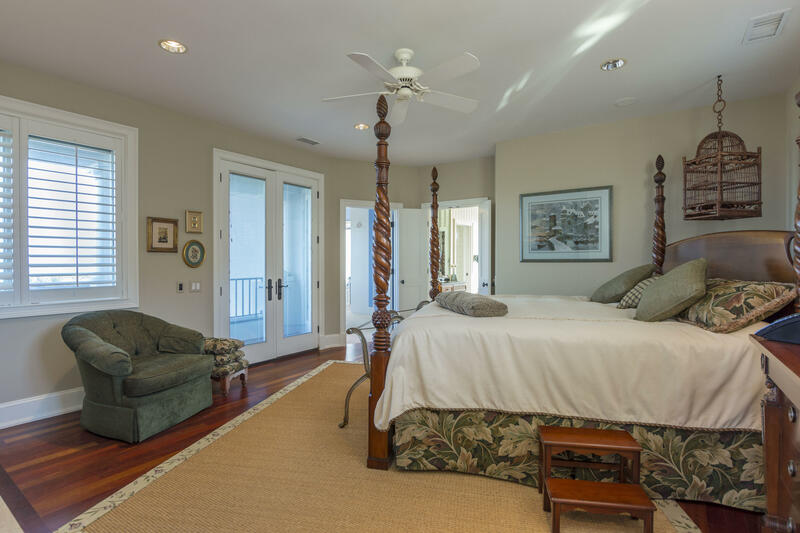 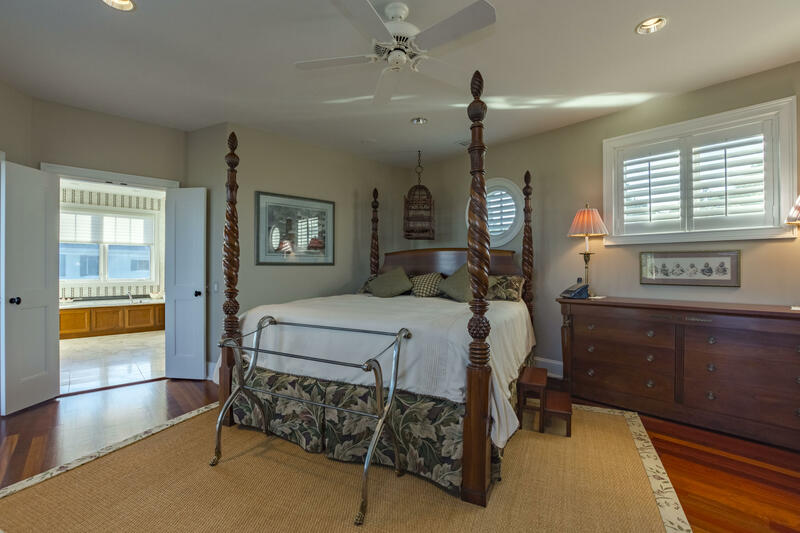 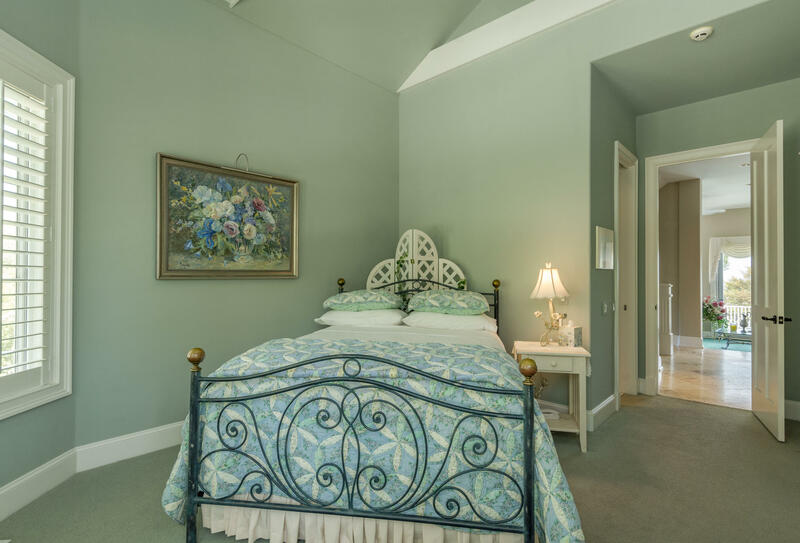 All three rooms lead to a covered porch that showcases, what we believe is, the best view on the island. 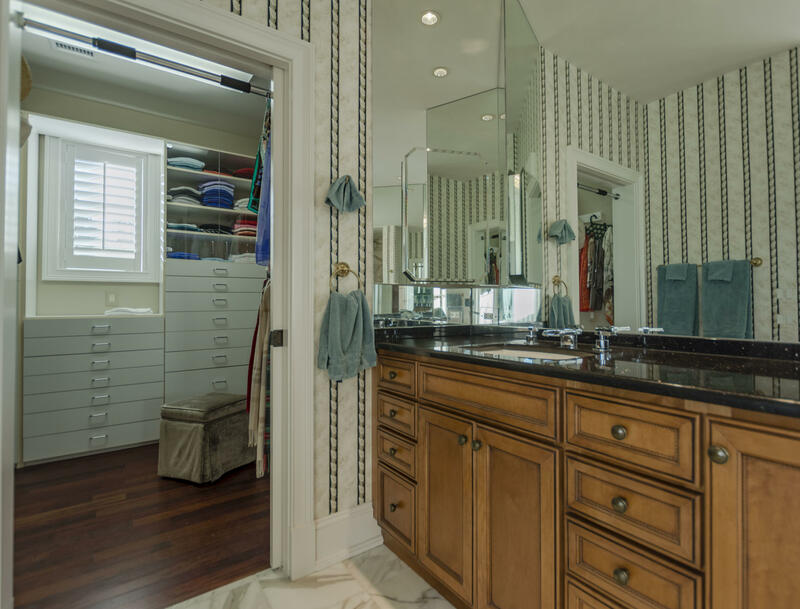 The home offers a multitude of storage options, including a third floor of storage space, several storage closets, and wall storage spaces throughout the home. 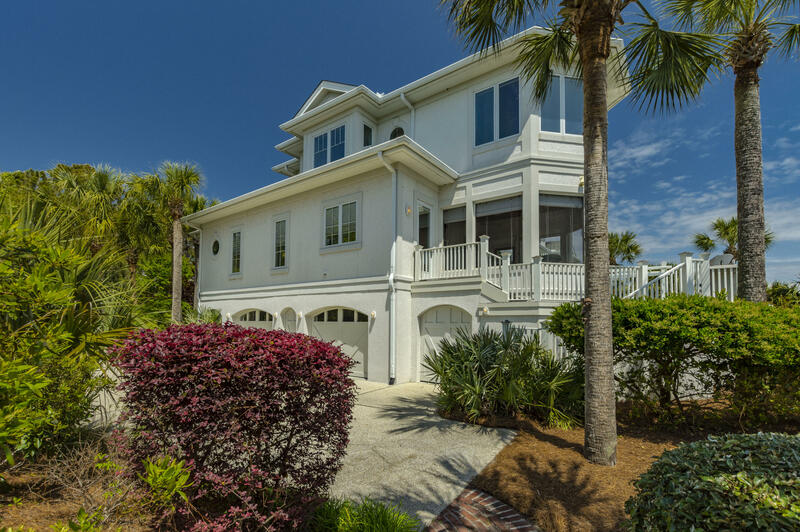 Below the first floor is a three-car garage and a shower perfect for rinsing off after a day at the beach. 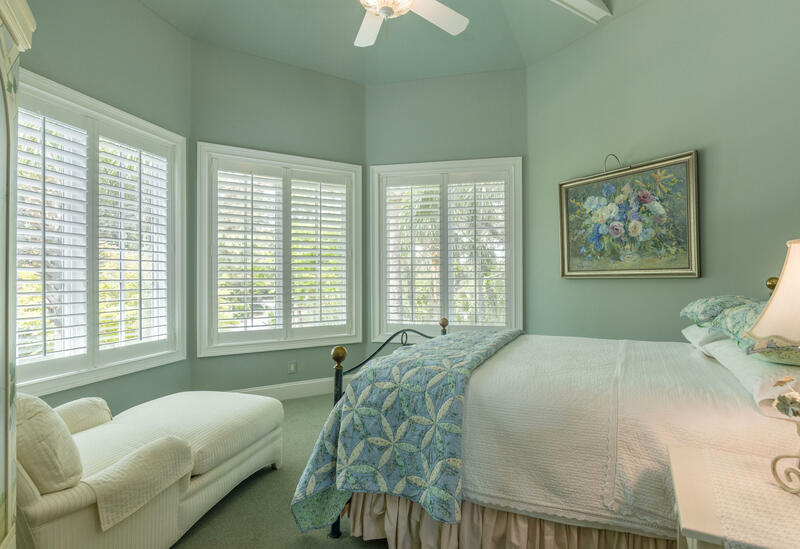 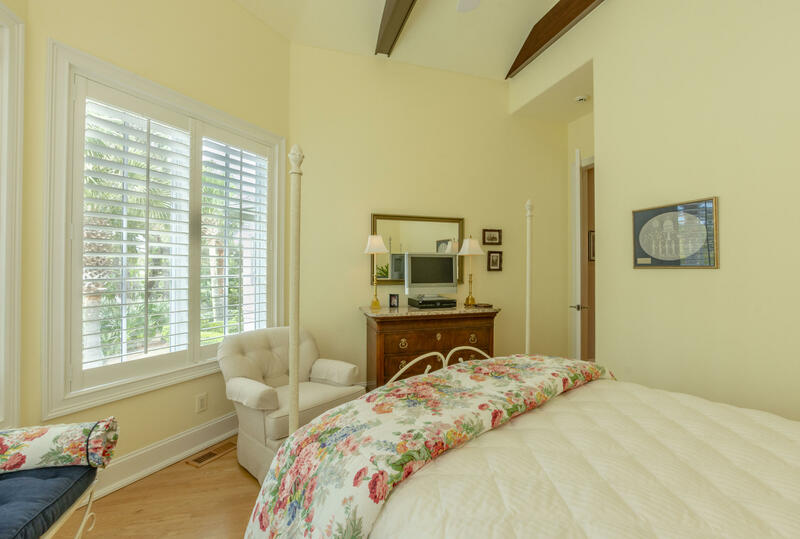 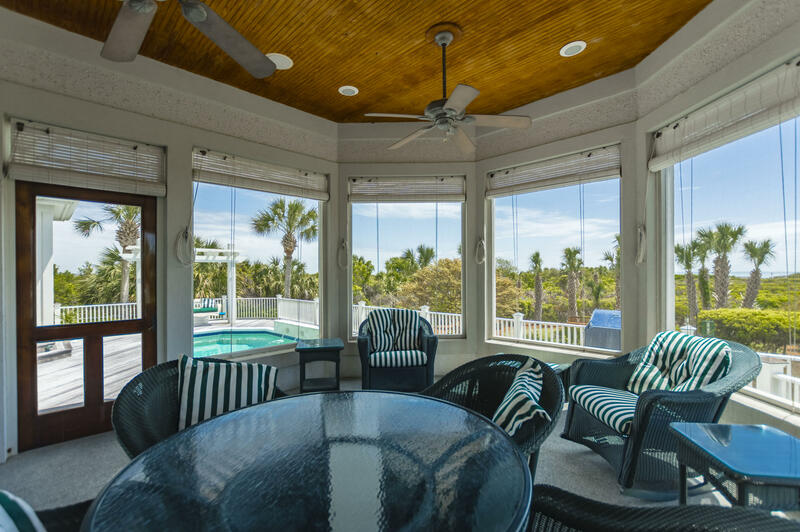 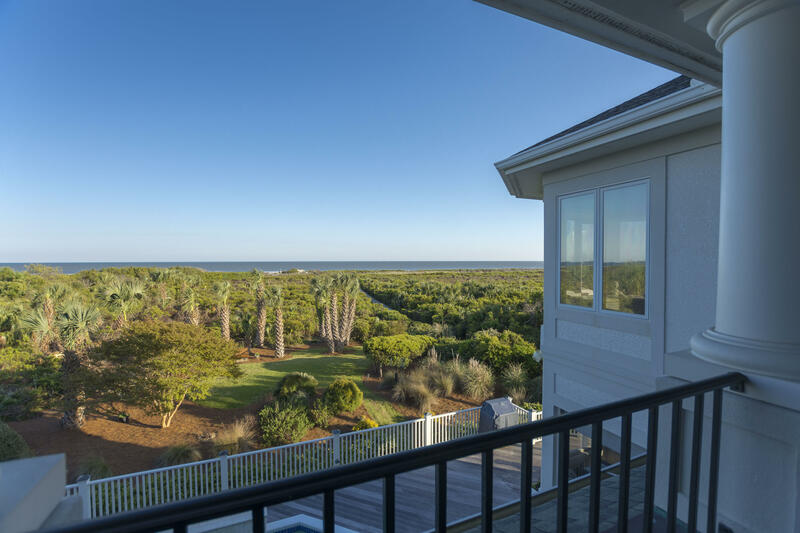 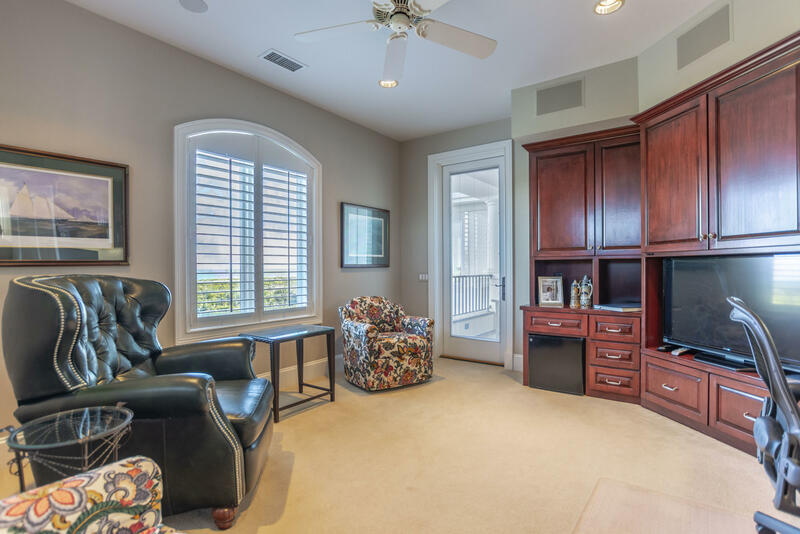 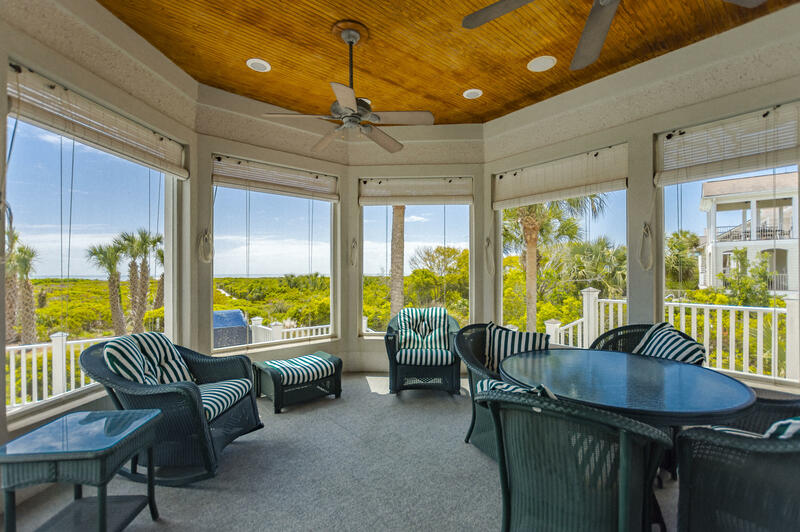 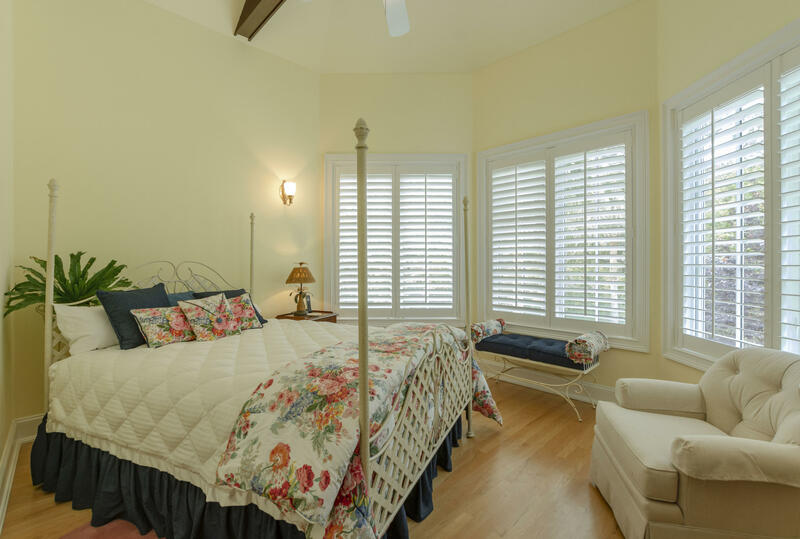 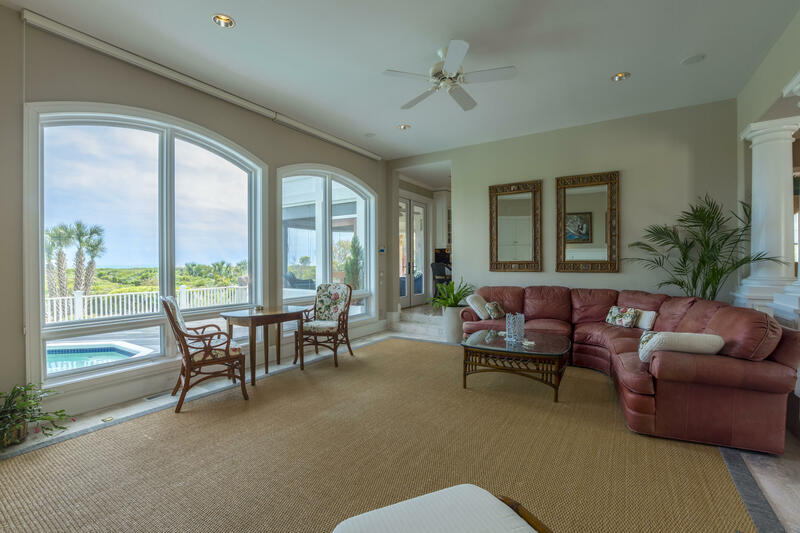 Ocean views, large gathering spaces, abundant storage, cozy bedrooms with plantation shutters, built-ins, and custom touches throughout await you at 2216 Rolling Dunes.